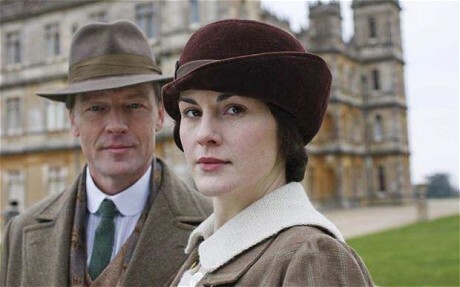 On Downton Abbey, Sir Richard Carlisle is smooth, urbane, influential–and incredibly rich. Carlisle has built his fortune in newspapers–and not just any newspaper, but the tabloid press. His real life counterpart, Alfred Harmsworth, Lord Northcliffe, founded The Daily Mail in 1896 after earning his first million with cheap dailies and weeklies covering nearly every demographic imaginable. The Daily Mail was London’s first halfpenny morning paper, and though Lord Salisbury contemptuously considered it a newspaper “written by office boys for office boys,” it changed the face of English newspapers and made Harmsworth–as he was then known–into a media mogul. Soon, his paper was enmeshed in the heated politics of the day, with Liberals outraged by the Daily Mail’s lowbrow tone and its widespread popularity, and the Conservatives intrigued by Harmsworth’s influence over popular opinion via his newspapers. Harmsworth may have been a staunch Conservative, but he placed profit first, and in 1903 he founded The Daily Mirror, which was the first penny paper created for women and run by women. Unfortunately, it was not a success, and The Daily Mirror was transformed into a general paper, but the female audience remained his main target. His later coups included the purchase of the Observer and The Times in 1905 and 1908, respectively, and he also acquired The Sunday Times in the latter year. However, Harmsworth wielded the bulk of his influence over WWI-era Britain. Prior to 1914, The Daily Mail had actually played a part in stoking up fears over Germany’s alleged might and its growing navy through its serialization of William Le Queux’s invasion literature, and during the war, Harmsworth’s anti-German propaganda was so vociferous, a German warship was sent to shell his home. His newspapers also toppled Asquith’s wartime government by its unceasing reports about the Shell Crisis of 1915, and helped bring about Lloyd George’s appointment as Prime Minister in 1916. Watch the other three parts on YouTube.